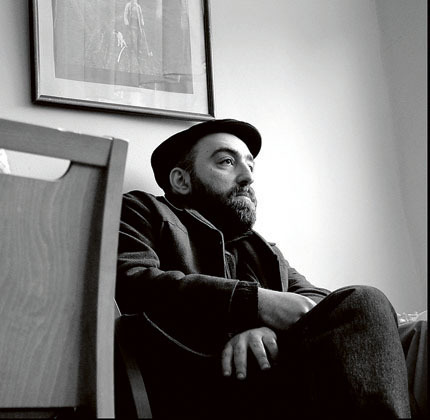 Back in January, Dalkey Archive Press released the first four books in the Georgian Literature Series, enabling English readers to gain some appreciation of the literature of this previously underrepresented country. The project began in 2012 with the publication of Contemporary Georgian Literature, a 400+ page anthology translated by Elizabeth Heighway (covered very well at A Year of Reading the World). This collaboration between Dalkey Archive and the Ministry of Culture and Monument Protection of Georgia turned out so well that the partnership continued and now readers reap the benefits. 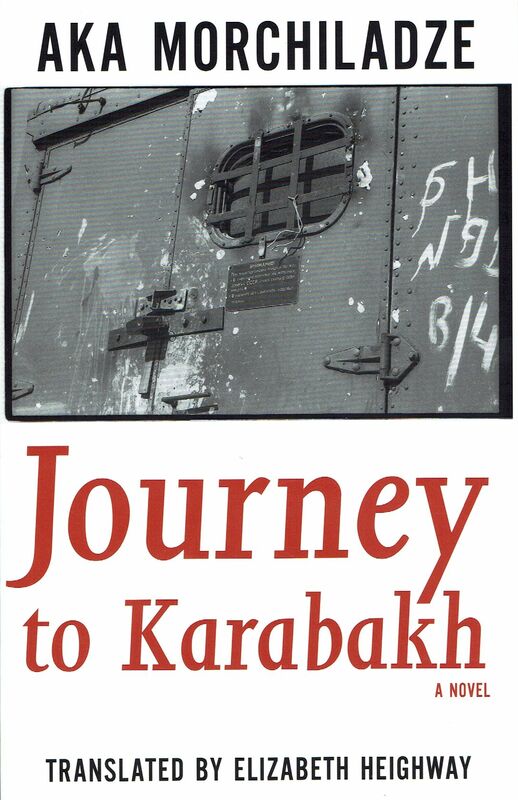 Curiously, the few reviews there are of Journey to Karabakh tend to interpret the novel as an allegory of Georgia in its post-Soviet state, M.A. Orthofer at the Complete Review claiming “it does already feel a bit dated” as a result. This doesn’t seem likely – France isn’t trying to invade Russia anymore, but that doesn’t make War and Peace dated. My opinion is that the story is far more a portrait of personal malaise than an allegory. Everything politically real is dismissed in the second paragraph. I didn’t care about any of that back then, and I care even less about it now. Gio’s father is involved in the turmoil on the streets, manning roadblocks, confiscating weapons, but even this doesn’t get him interested. “Well, seriously, what on earth does he think he’s doing, running around like a revolutionary at his age?” Gio lives in a directionless apathy and is encouraged, consciously or not, to remain there by his family. The story begins, not with him setting out on his journey, but with an extended flashback to his romance with Yana, a gentle prostitute. The story is old hat and is capable of filling whole novels with angst but Morchiladze has remarkable pacing and focus, outlining the entire affair with maximum economy. It is begun and ended in one chapter. The improvement a stable relationship gives him (…I didn’t turn the television on, didn’t let my friends in when they came around, and every single morning I went out to buy fresh bread) collapses as soon as his family learns of it and, scandalized, they immediately take steps to break it up. Tellingly, once the relationship is discovered they both quietly submit and go their separate ways. We’d only been so happy because nobody was sticking their nose in and interfering with the way we lived our lives. Gio’s own sense of fatalism prevents him from fighting. I went inside the house and opened the door to my room. There was my patterned divan and everything else. There was a funny smell of damp or cold or of the sun rising through the windows. I felt good. Calm. I felt almost as if I were on holiday at a guest house. …For some reason I felt as if I might spend the rest of my life here, wandering aimlessly around the village, doing little jobs here and there, planting trees, stuff like that. I’d pop round to see Valera the painter and we’d chat about nothing in particular. I’d write letters, hundreds of letters to Yana, and get them to her somehow. If only I knew how to do something useful, if only I were a doctor or medical assistant or, I don’t know, something. I didn’t know about anything except cars. The illusion doesn’t last and with the arrival of Russian reporters, Gio’s calmness starts to degrade. His choice of how to resolve his stay in Karabakh and return home becomes a strangely out-of-character moment for a man so little inclined to fight – it contrasts and would seem to be a result of all his previous (in)actions. This segment of the book can’t be discussed in any detail but there is a strong sense of pessimism to Morchiladze’s tale. Gio is not equipped to “come-of-age” and he is left to dismal conclusions: When I think back, I can’t tell if things were really as they seemed; everything looks different with hindsight. But whichever way you look at it I was an idiot, and being an idiot was clearly the thing I was best at in life. Being for the most part a character study, Journey to Karabakh contains a great many vivid sketches – though the cast remains mostly background, Morchiladze zooms in on each person’s most distinguished features and someone like Goglik is fixed in the reader’s mind the moment introductions are made: Ever since I’ve known Goglik, the only thing he’s been interested in is watching films and then talking about them. It’s what he lives for. There’s only one other thing that gets his attention; put him anywhere near something he can either smoke or inject and he’ll sniff it out in an instant. He’s like the goddamn KGB. Maybe it’s because he’s always broke; I can’t remember him ever paying for anything. And yet somehow it’s always Goglik who ends up running off to buy grass from the dealers. In my car, naturally. The supporting characters, from Tatuna, a fellow-sufferer of parental “relationship guidance,” to the pitiful old Armenian whose son was killed and now “he just plays billiards and talks about his boy…” are given an immediacy even as you learn almost nothing about them. Gio’s irreverent voice allows a certain amount of humour to lighten up an otherwise grim account of armed conflict and personal apathy, particularly when hunting for drugs with Goglik and when the irritating female reporter starts hitting on him. Also, at only 159 pages, there is no fat on this text. It’s a quick read and offers a solid introduction to Georgian literature for the curious. Thanks to Dalkey Archive, there is more to follow.